Dr. Modugno is an Associate Professor of Obstetrics, Gynecology and Reproductive Sciences, Division of Gynecologic Oncology, University of Pittsburgh School of Medicine and an adjunct faculty member in the Department of Epidemiology, Graduate School of Public Health, University of Pittsburgh. She is also the Director of the Gynecologic Oncology Databank and Biorepository. 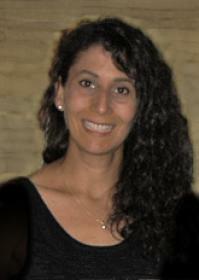 Dr. Modugno earned her doctoral degree in Computer Science from Carnegie Mellon University and earned her Master of Public Health degree while completing a postdoctoral fellowship in Cancer Epidemiology and Prevention at the University of Pittsburgh. Dr. Modugno has co-authored more than 100 peer-reviewed journal publications, has served as an ad-hoc reviewer for dozens of journals, and has participated on a variety of National Cancer Institute, Department of Defense, and foundation study sections. She has served as the primary or co-advisor/mentor for over 35 MPH, MS and PhD students. Dr. Modugno is a member of various professional societies including the American Association for Cancer Research and the American Society of Preventive Oncology. She is a founding member of the Ovarian Cancer Association Consortium, a group of researchers from over 40 ovarian cancer studies who have pooled their data and resources to answer questions about ovarian cancer risk and survival. She is the founding Director for the International Symposium on Ovarian Cancer, and has served as Course Director for the 2002, 2005 and 2012 programs. Dr. Modugno’s research focuses on the molecular epidemiology of women’s cancers, especially ovarian, breast and endometrial cancer.